Your Royal Highness in London, Dr. Handa in Tokyo, Your Excellences and friends of wildlife from right across the globe – welcome to the Sandton Convention Center in Johannesburg! My sincere thanks Your Royal Highness for your ongoing global leadership in the fight against illegal wildlife trade, as well as to Dr Handa and to Tusk, for inviting us to join this truly unique event linking the United Kingdom and Japan, which quite fortuitously coincides with the start of the World Wildlife Conference, or CoP17. The world will turn its attention to what happens right here in South Africa over the course of the next two weeks as representatives of over 180 governments, with the active involvement of observers from across every region, debate and take decisions on critical issues affecting the future of some of the planet’s most precious species of wild animals and plants. Over the next fortnight, CoP17 will consider changes to the trade controls of close to 500 species of wild animals and plants, including elephant, lion, pangolin, rhino, rosewood, silky and thresher sharks, as well as devil rays. 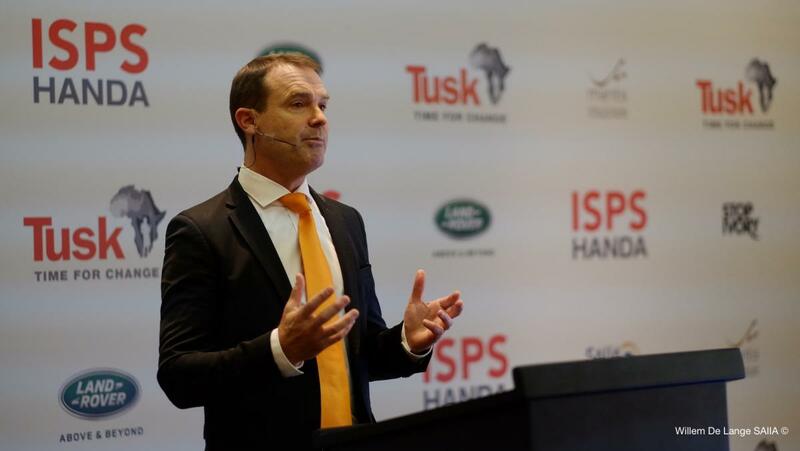 CoP17 will deliberate over new and improved measures to combat the scourge of illegal wildlife trade, which today is occurring on an industrial scale; driven by transnational organised criminal groups. And it will also review measures to ensure the sustainability of legal trade. Decisions taken under CITES have a direct real world impact and, while all 183 CITES Parties are deeply committed to the survival of wild animals and plants, they sometimes have differing views on the best way to achieve this agreed objective. As such, the discussions can at times be robust and intense, which is a reflection of the high stakes under CITES, recently described as an agreement of “remarkable scope and power”, and of the level of interest and passion that governments and people have for wildlife. One is never left wondering under CITES. It is an honest, pragmatic and action orientated convention, under which matters are debated in open session and go to a vote where there is no consensus. And if you are not able to join us here in Johannesburg the entire meeting will be webcast. We are deeply grateful to our generous Host county, South Africa, for the impeccable arrangements put into place for CoP17, and for making this room available to us today, and we again express our most sincere thanks to Your Royal Highness, Dr Handa and Tusk for inviting us to join this perfectly timed event! The stage is now set for what is sure to be a remarkable two weeks. And it is now my pleasure to hand-over to Tokyo and to Dr Handa, the founder of ‘ISPS Handa’ and the generous sponsor for today’s event.